So you've decided to take the plunge and scan all those paper files that have been cluttering up your office for decades. The cabinets upon cabinets of paper that have caused you and your staff to lose countless hours searching for lost or misplaced records. Finally, everything is going to be available right from your desktop, laptop, tablet or smartphone. This is a terrific move and one many before you have taken; but where do you start? Sure, you could buy the scanners, train the staff, invest in complex capture software; but is that really the best solution? 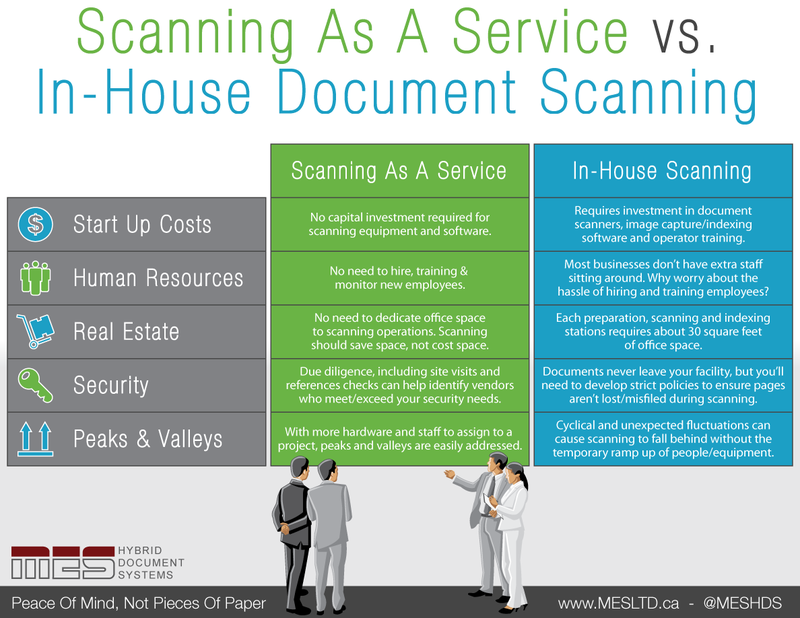 Our latest infographic compares scanning your documents internally vs. document scanning as a service.